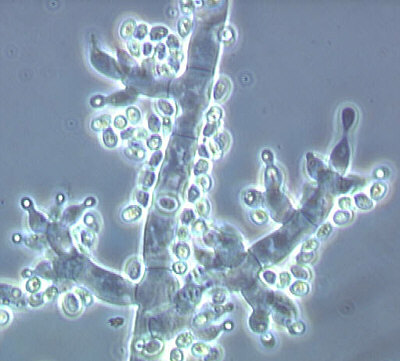 The Genus Trichoderma is one of the most abundant fungi that have been shown to be present in all climatic zones. As such, it can be found in virtually all soils or rotting wood given that they are found in the roots of plants. However, this fungi can also be found on various parts of plants including the leaves, seeds and grains. One of the most unique traits of this genus, compared to other fungi, is that they tend to attack other types of fungi. This has resulted in Trichoderma fungi being labeled as antagonists to other types of fungi. While it can be found living in symbiosis with plants (in the roots of plants) they have also been shown to exist as parasites in plants and a variety of other organisms. As already mentioned, Trichoderma fungi can be found in many more habitats compared to other types of fungi. They are also more prevalent because they have developed the capacity to attack other fungi. Apart from simply attacking other fungi, this species have also been shown to live as parasites in other types of fungi. This allows them to survive at the expense of other organisms given that they obtain nutrients from other fungi without profiting them in return. This is a beneficial characteristic in that it allows them to colonize many more habitats in nature. Hyperparasitism is the process through which Trichoderma come into contact with other fungi, penetrates the fungi and ultimately destroys them. According to research, this type of fungi has developed mechanisms that has made it possible to identify other pathogenic fungi, which it then attacks and eliminate. As soon as it penetrates the pathogenic fungi, they start to release enzymes (lytic enzyme) that degrade the cell structures of the pathogen. Some of the enzymes here include; Lipase, cellulase and amylase among others. Antibiosis involves the release of secondary metabolites that have an inhibitory effect on other parasitic fungi. This prevents them from becoming active parasites or even kills them. In addition to acting against other forms of fungi, these metabolites are also active against various bacteria and virus that may pose a threat to the fungi. Some of the secondary metabolites released by the fungi include trichorovins and trichodecenins. Trichoderma may also compete with other fungi in order dominate a given habitat. This is achieved differently for different species in this genus. For instance, species like T. longibrachiatum will compete by producing iron chelating compounds referred to as siderophores that stunt the growth of its competitors in its environment. By trapping iron in the habitat, organisms like B. cinerea are greatly affected given that they require iron for their growth. With their growth affected, the Trichoderma fungi are able to dominate. Surviving tough conditions (they can grow at 45 degree Celsius) and high growing in high numbers - this type of fungi can survive tough environmental conditions, which allow them to continue surviving when others fail to do so. They also grow in high numbers making it possible for the fungi to dominate a given environment while making it difficult for the other fungi to grow successfully. For a majority of the fungi in this genus, asexual spores are the means of reproduction. 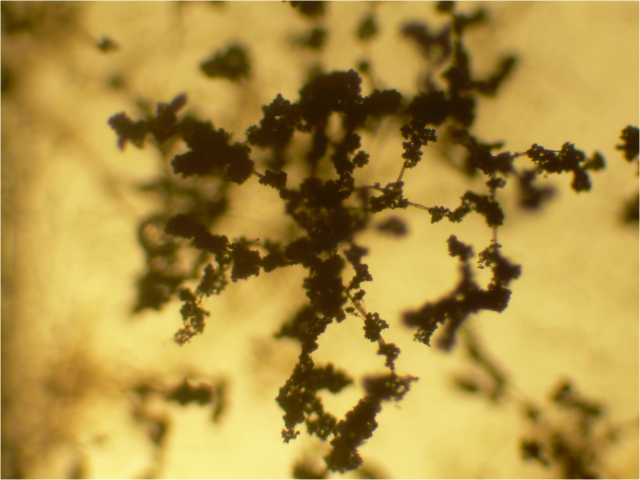 When viewed under the microscope, the hyphae, conidiosporeas and conidia can be observed. Here, the conidiophores located at the tip of the hyaline hyphae are responsible for the production of conidia (green spores) that then germinate and grow to form new fungi as the cycle continues. Some of the species have been shown to be capable of reproducing sexually. A majority of this species are free-living organisms. As such, they play two important roles as decomposers and in their symbiotic relationship with plants. In a plant's roots (rhizosphere) the fungi helps increase biomass, by decomposing various organic material using their enzymes, and supporting the development of root hairs. Research has shown this to greatly benefit plants given that more root hairs allow plants to penetrate deeper into the soil where they can take up more water and nutrients to support the development of the plant. For this reason, the fungi are being used more and more to increase yields. As decomposers, the Trichoderma fungi not only make nutrients readily available for plants (biomass) but also play an important role in nitrogen and carbon cycle (important for plant development). Because of their capacity to attack and destroy other types of fungi as well as various other organisms such as bacteria, Trichoderma are also used for the production of pesticides and other biological agents used to control the spread of other fungi and pathogenic organisms in agriculture. While Trichoderma species have been shown to present many advantages in agriculture and other industries, they also present health problems for those with compromised immunity. Among such individuals, opportunistic fungal infection may occur. This has also been shown to be the case during organ transplants. Cornejo, H. A. C. et al. Trichoderma virens, a Plant Beneficial Fungus, Enhances Biomass Production and Promotes Lateral Root Growth through an Auxin-Dependent Mechanism in Arabidopsis. Plant Physiol. 2009 Mar; 149(3): 1579–1592..
Joseph Guaro et al. Fatal Case of Trichoderma harzianum Infection in a Renal Transplant Recipient. J Clin Microbiol. 1999 Nov; 37(11): 3751–3755. Lidia Błaszczyk et al. Trichoderma spp. – application and prospects for use in organic farming and industry. Journal of Plant Protection Research Vol. 54, No. 4 (2014).